I have always had my reservations on the Spanish chain which populates many of the UK cities. I had had some average meals a few years ago and have not returned since. The reviews I seem to have heard are mixed with some people truly loving it but certainly having its fair share of critics. As I understand they have a new consultant chef and have revamped some of the menu over recent times so I felt it worthy of a revisit. 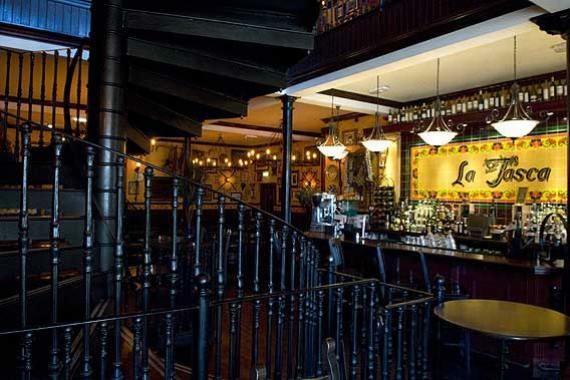 The Nottingham location appears to have changed little; the rustic Spanish feel is now a little tired and could do with being spruced up. There is a popular seating area outside looking onto The Contemporary which is often busy for dinner or a glass of sangria. On the midweek evening both the outside and inside tables were occupied, a sign that it is doing something right. The format remains the same, the menu consisting primarily of tapas dishes with large paellas and sharers. Tapas are between £3-6, a large paella around £10. One addition I like is the specific region where the dishes originate; from Extremadura to Catalonia. Having picked a number between myself and a friend we were actually surprised when all arrived at once. One of the joys of tapas dining is the excitement of which dish will arrive first and the drawn out, conversation-friendly style of service. We had gone for a combination of ‘new’ dishes, chefs specials and some old favourites. You cannot get a firmer, older favourite for me than Patatas Bravas. A good solid effort to start, the potatoes could have a little more crispness but the tomato sauce had a good warmth and the classic smoky flavour that only comes from pimenton. The main disappointment is the lack of alioli to really lift it to another level. 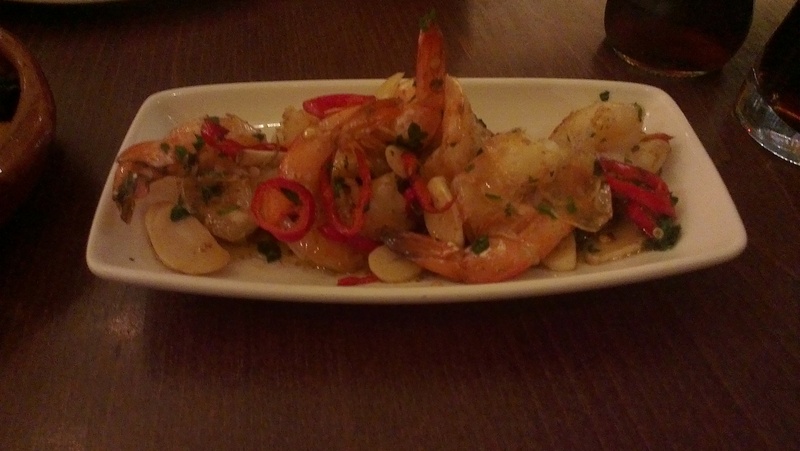 A dish of gambas al ajillo, sometimes known as pil pil, is another staple of king prawns cooked in garlic and chilli oil. Prawns were well cooked, plump and juicy and the infusion of garlic and chilli coming to the fore. The paella of the day was chicken and prawn. Served in a small tapas portion, the chicken was cooked adequately but that’s as close as I can get to praising the dish. Prawns were small and overcooked and everything was on top of some bland rice as if thrown on at the last minute. It was lifeless, that most valuable of commodities to give it soul was noticeably absent; a big hit of golden saffron needed to kick it into existence. Onto some new dishes and specials. Chorizo & Morcilla (Spanish black pudding) was a pleasing return to form, sweet roasted peppers cutting through the rich sausages, nicely balanced. 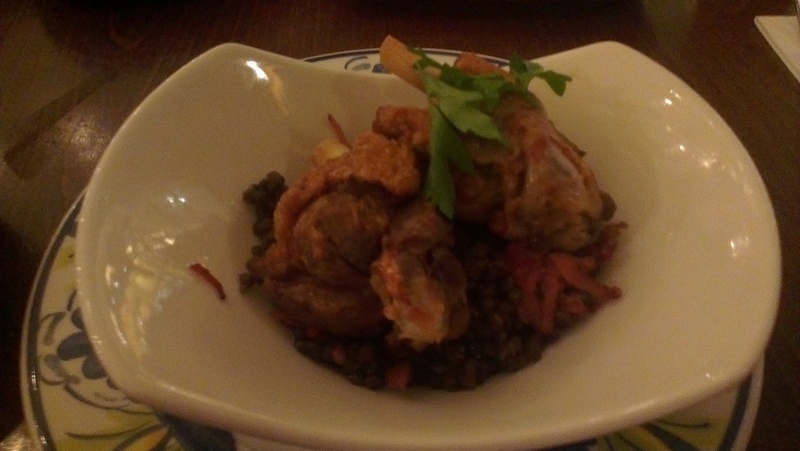 Slow cooked duck wings with lentils were a new Spanish one on me. The duck was well cooked and maintained a strong game-y, savoury flavour, lentils too were nice and had a good bite but there was just something lacking to bring it all together. The final dish was my favourite of the evening, Slow cooked pork with a Pedro Ximenez sauce/glaze. Pedro Ximenez is a dessert wine/sherry, very sweet, very dark and working beautifully in combination with the slow cooked meat giving a satisfying, sticky tang. Desserts didn’t follow such a Spanish theme with only Churros hailing from the Iberian region, a Creme Catalan should be an easy addition?! However, I do love a good lemon tart. Sadly I was served an average one here. Pastry was under baked and too thick, the lemon itself lacking a real zing. My dining companion opted for a fondant which was not a fondant. 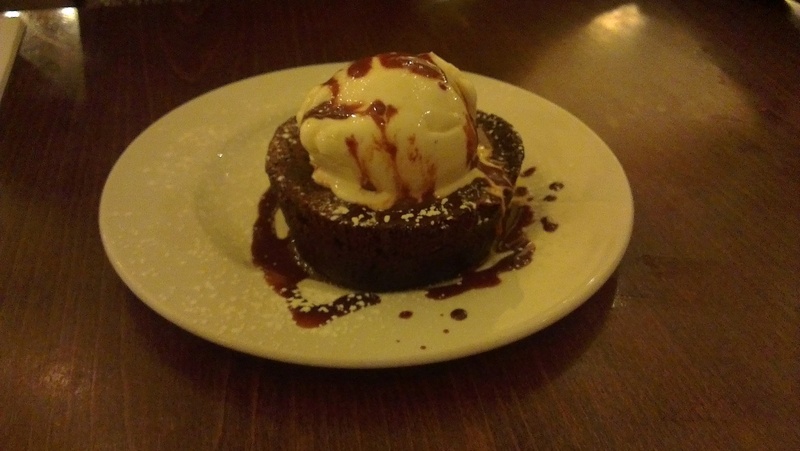 It arrived with a suspicious amount of chocolate sauce on the outside, presumably to distract from the lack of ooze from the centre of the, actually quite tasty, chocolate dessert. Service and waiting times were good throughout, the team managing a busy dining room well. Overall the evening surpassed my (admitedly quite low!) expectations despite the relative highs and lows. Desserts were poor which I can forgive as it’s not what you come for, less forgivable is the paella. From the vague memories of my previous visits everything is just that little bit more Spanish and flavour has come with that. Just keep going! A difficult place for me to score with some 5s but also strong 7/8 dishes. When I compare to the competition it has leapfrogged Bar de Nada and to me offers a little more than some of the Italian chains which blur into one. Having said that it still isn’t on the level of Iberico.